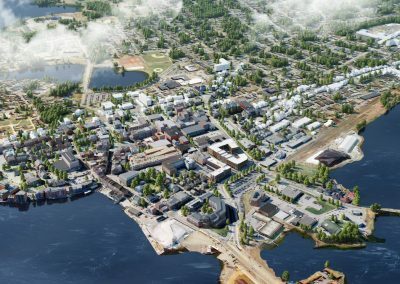 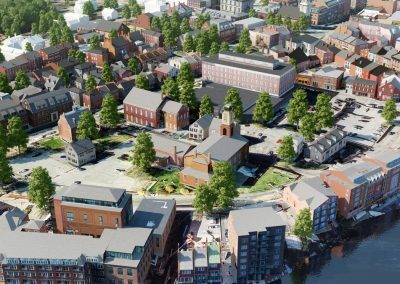 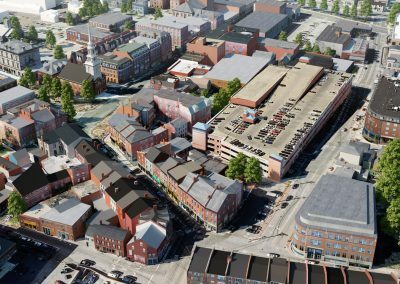 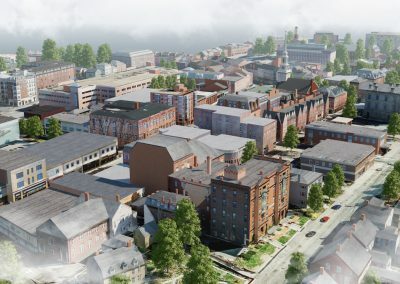 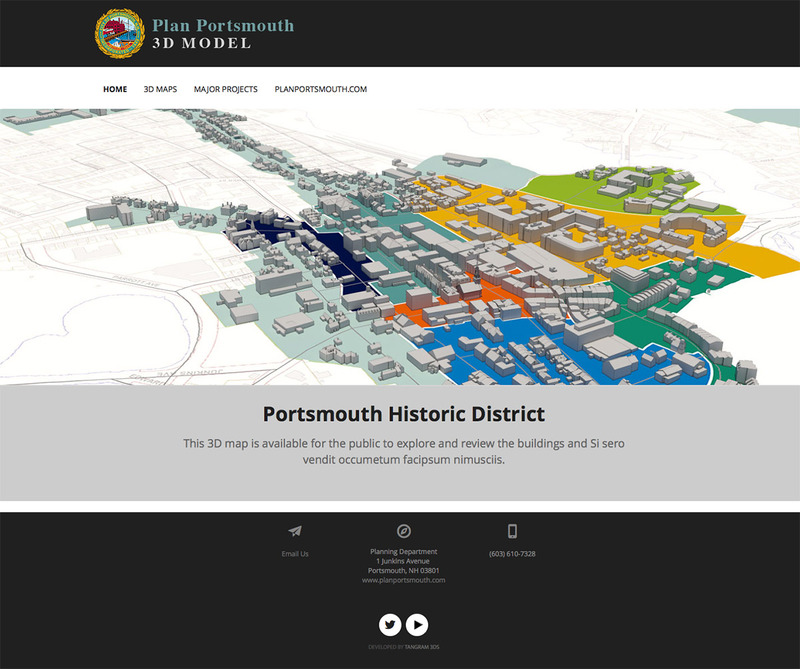 Commissioned by the Portsmouth Historical Society, the Portsmouth 3D Model was an ambitious project that involved developing a supportive design platform used by architects and developers to access a variety of 3D files (Sketchup, OBJ, DWG, and 3DS Max). 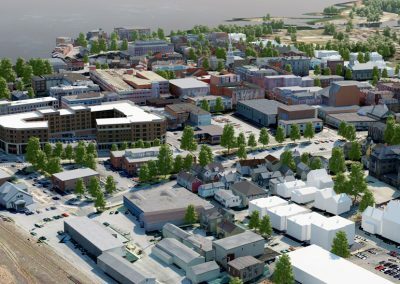 In doing so, it creates more precise before and after studies that illustrate how building projects can change Portsmouth. 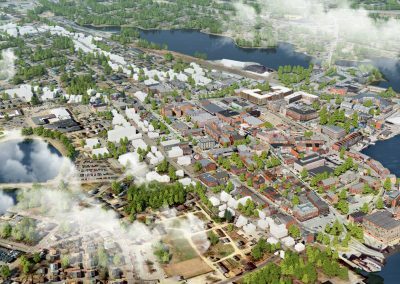 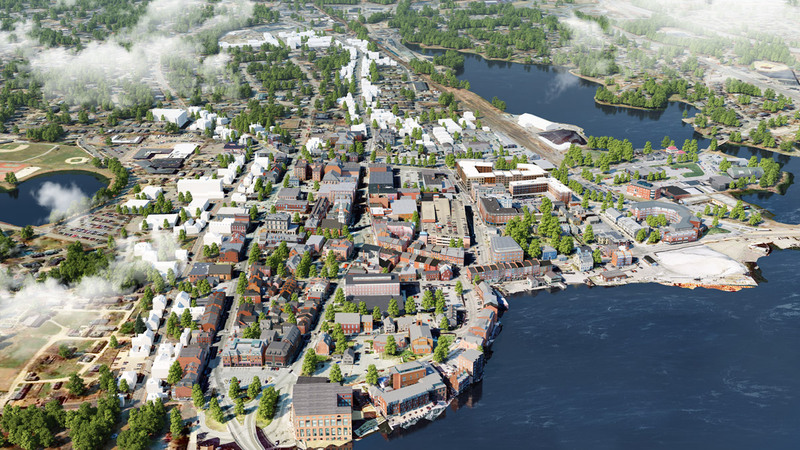 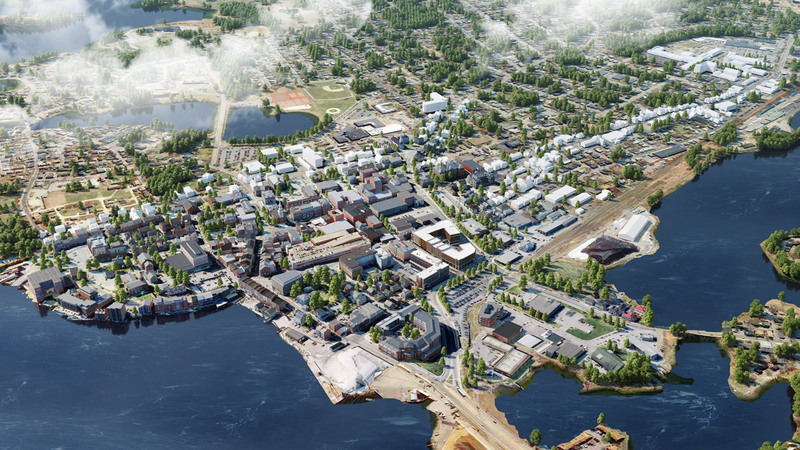 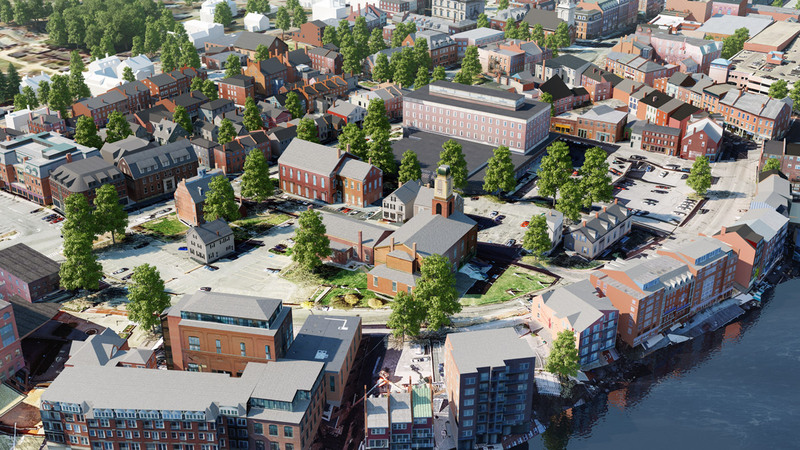 Our extensive experience working on 33 projects in and around the city of Portsmouth, New Hampshire, helped secure this 360-degree, interactive viewing option for the city’s planning department website. 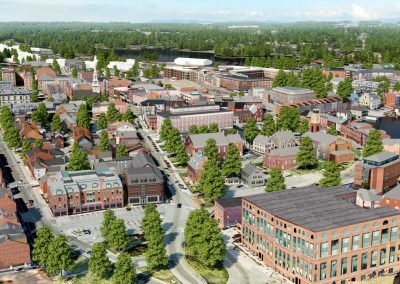 We exceeded all expectations by finishing the project early, well before the deadline—just three months for an 800-building model, plus a dedicated website. 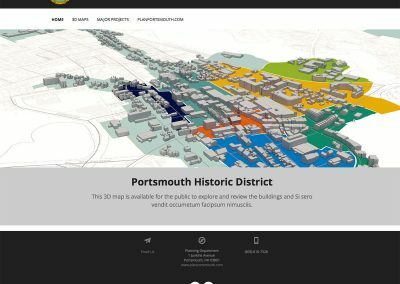 In addition, we designed a 360° interactive viewing option for the website allowing users to explore the model city in great depth and panoramic detail, with views from any angle. 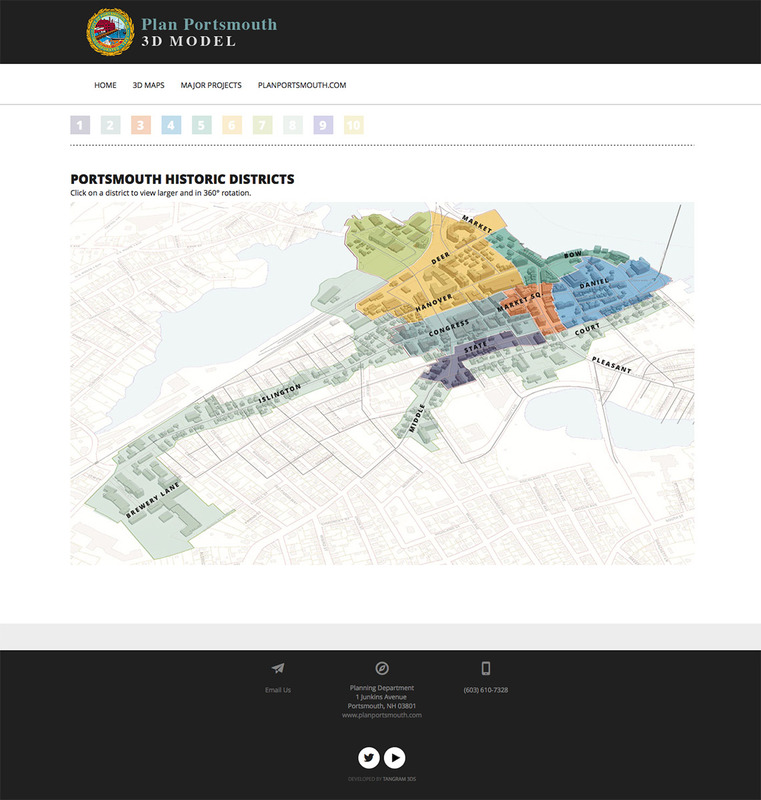 The city is divided into eight districts that can be viewed individually through the interactive portal. 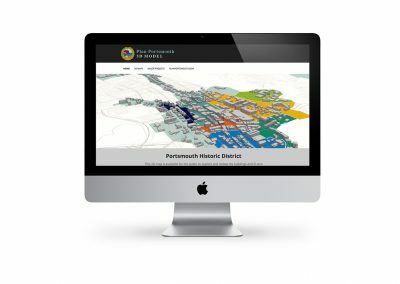 Once a district is selected, pages relating to area buildings can be viewed and downloaded by architects and planners. 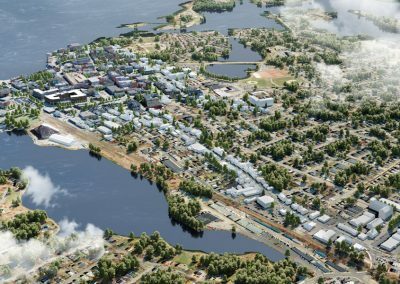 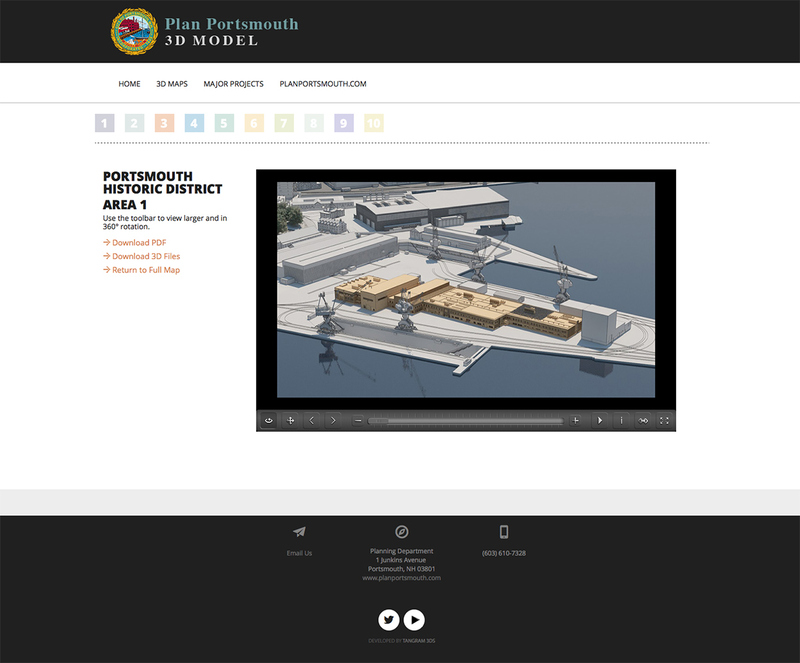 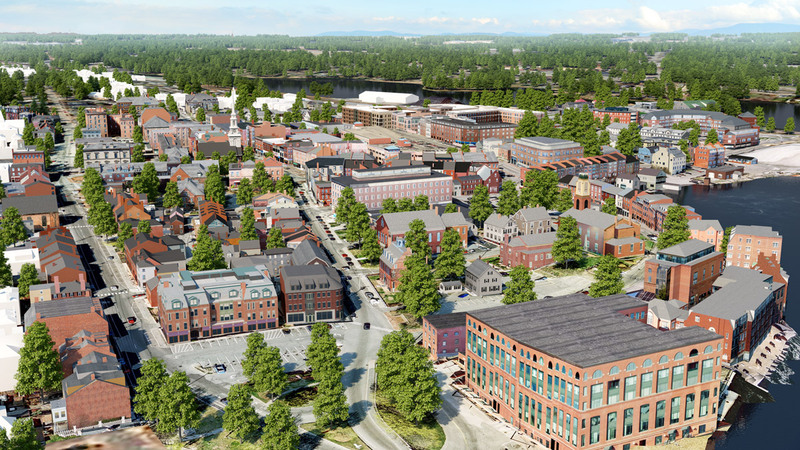 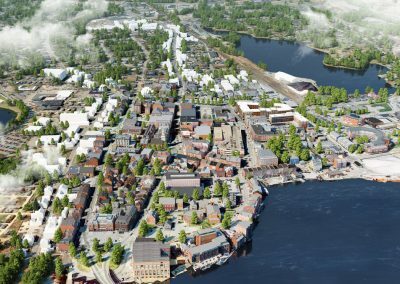 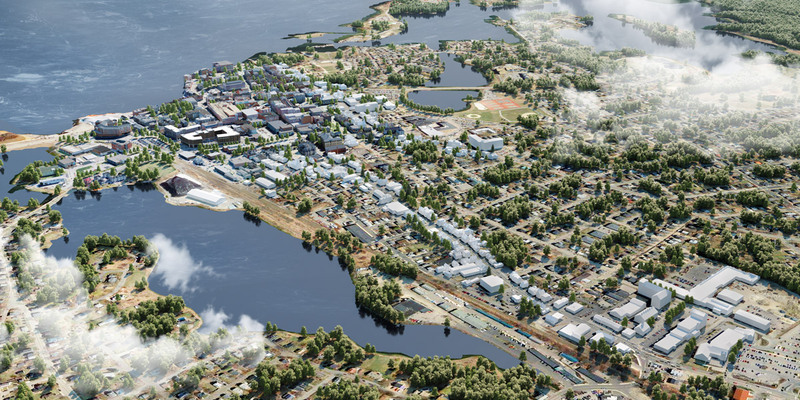 This large-scale, comprehensive 3D model of Portsmouth has over 800 structures, including 400 fully textured buildings, and an integrated website enabling users to access detailed 3D images (modeling the buildings in 3D offers superior viewing quality). 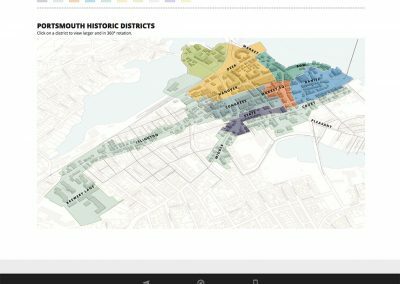 In order to photomap the texture of the buildings, photographers shot images of each building’s facades. 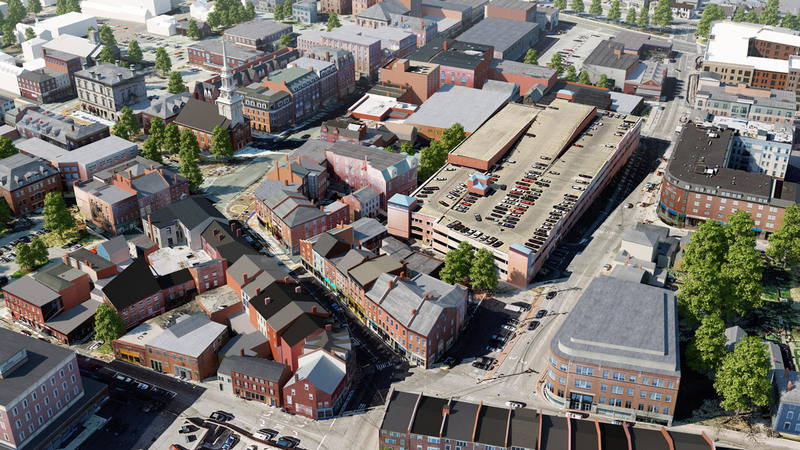 These photos were edited to create unobstructed building views. 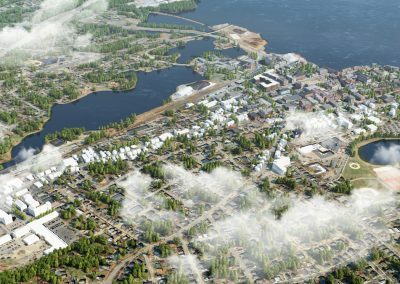 For a more-realistic 3D model, the ground plan was also textured based on aerial images; 3D trees were even placed in the aerial renderings for additional realism. 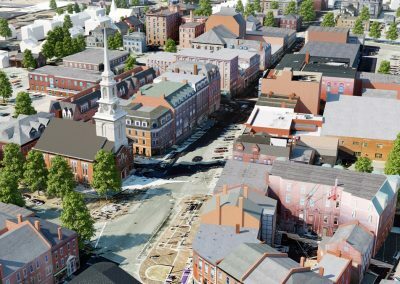 Highly interactive 3D models and websites are increasingly in demand for colleges, large institutions, and whole cities. 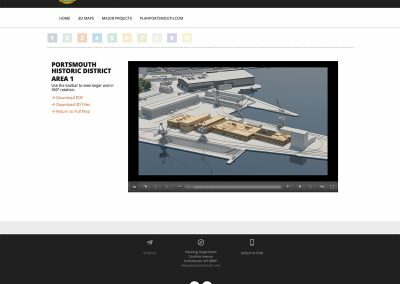 To produce its interactive model of Portsmouth, we took over 6000 photos of the city, massed 1000 buildings, and fully textured 400. 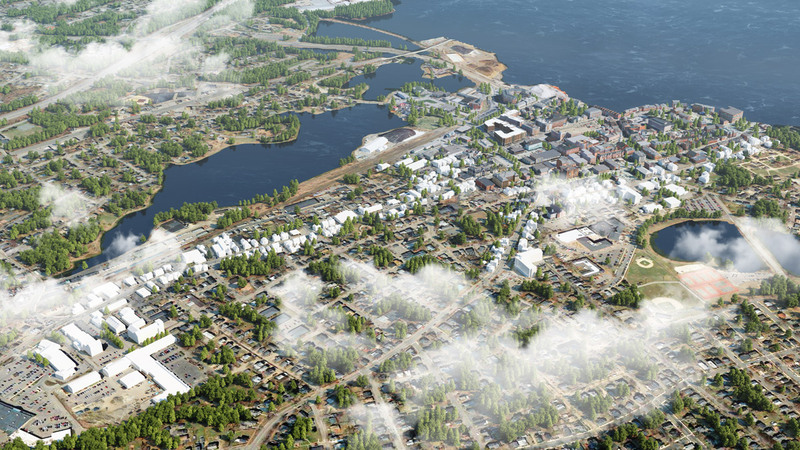 In order to texture the buildings, every facade of each building was photographed (4-6 pictures per building). 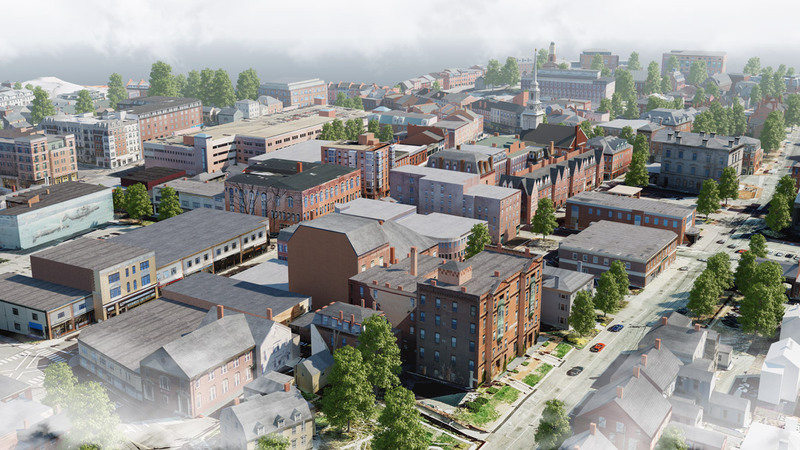 The photos were then paired with each respective building so that textures could then be applied to the 3D models. 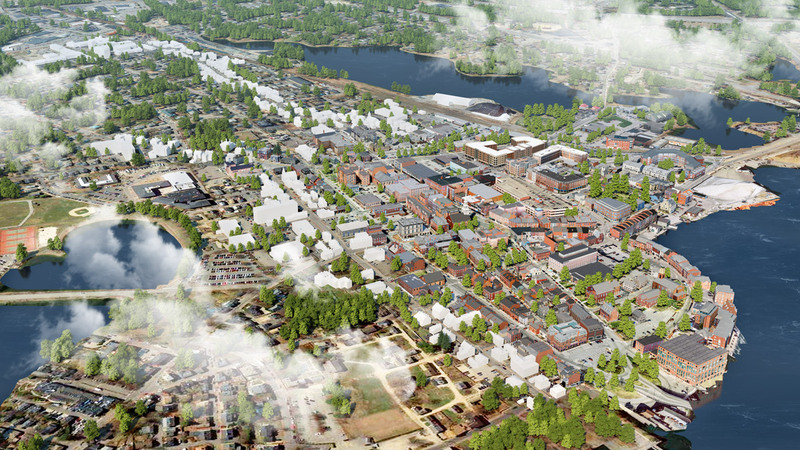 Once the city was modeled and textured, the 360° Interactive Viewing Portal (IVP) was added. 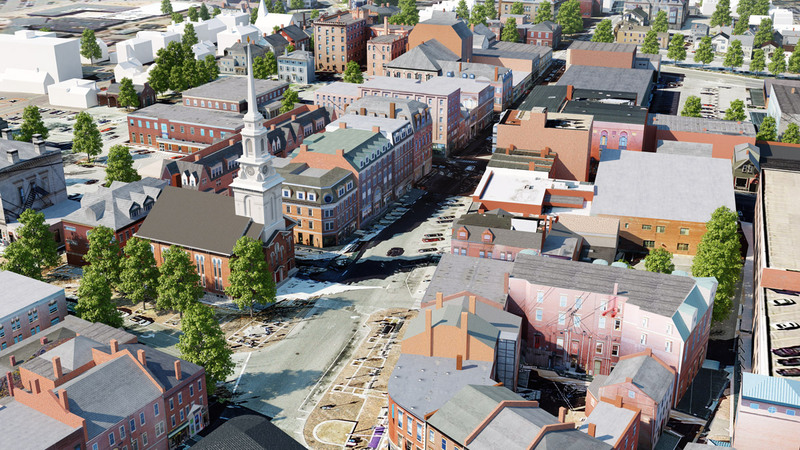 Additionally, the finished site features a fully interactive 3D map of the city that is easy to download and modify.